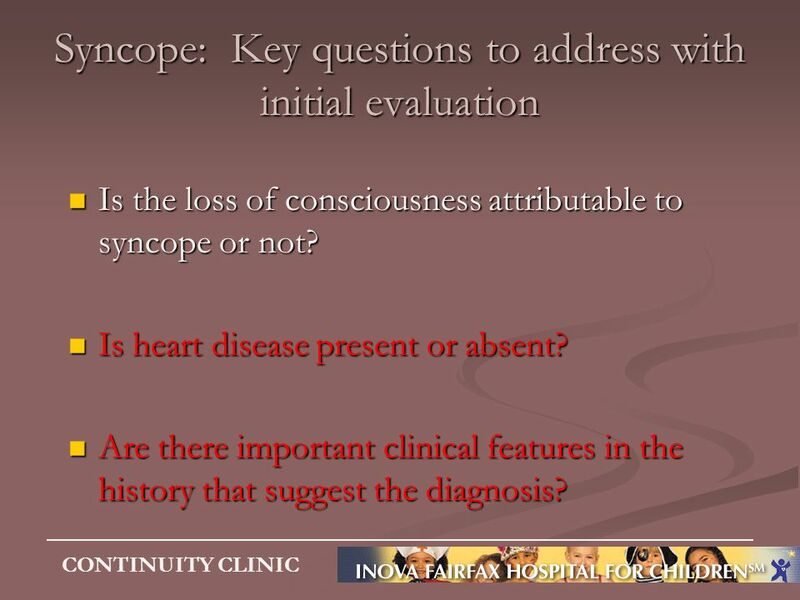 Is the loss of consciousness attributable to syncope or not? 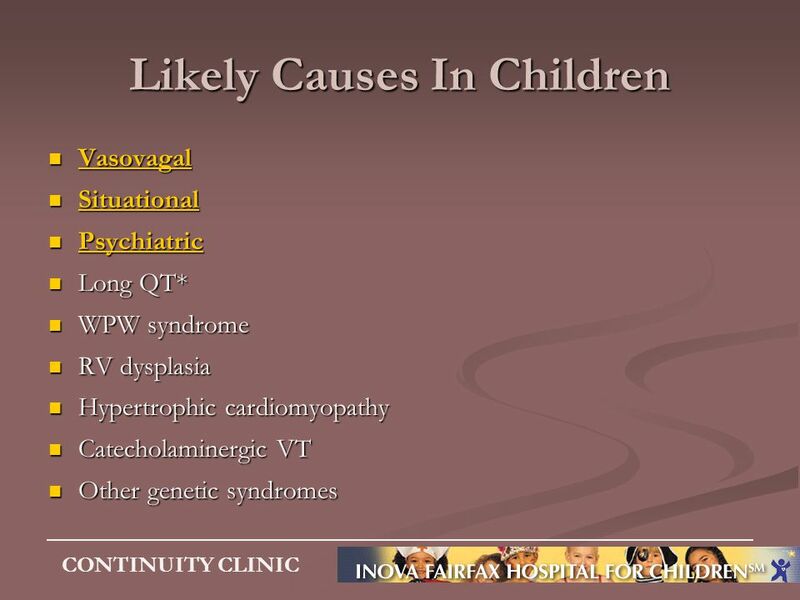 Is heart disease present or absent? 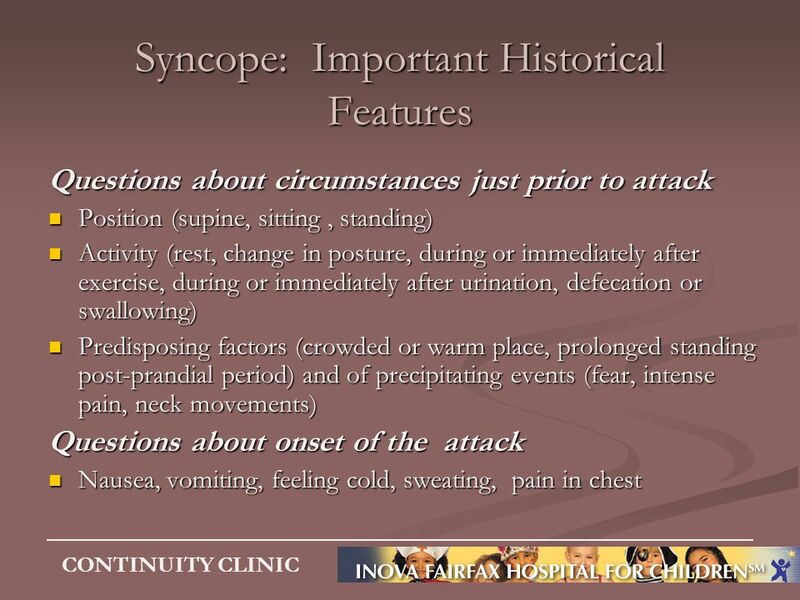 Are there important clinical features in the history that suggest the diagnosis? 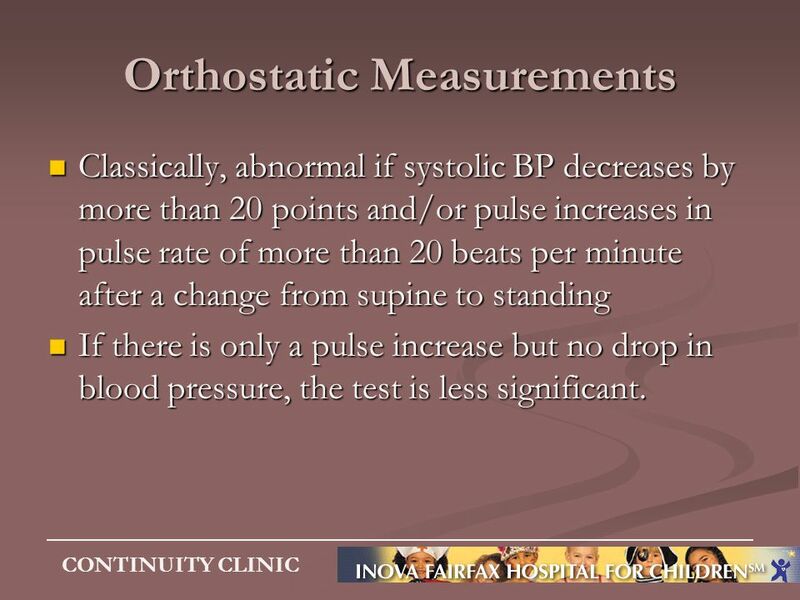 Classically, abnormal if systolic BP decreases by more than 20 points and/or pulse increases in pulse rate of more than 20 beats per minute after a change from supine to standing If there is only a pulse increase but no drop in blood pressure, the test is less significant. 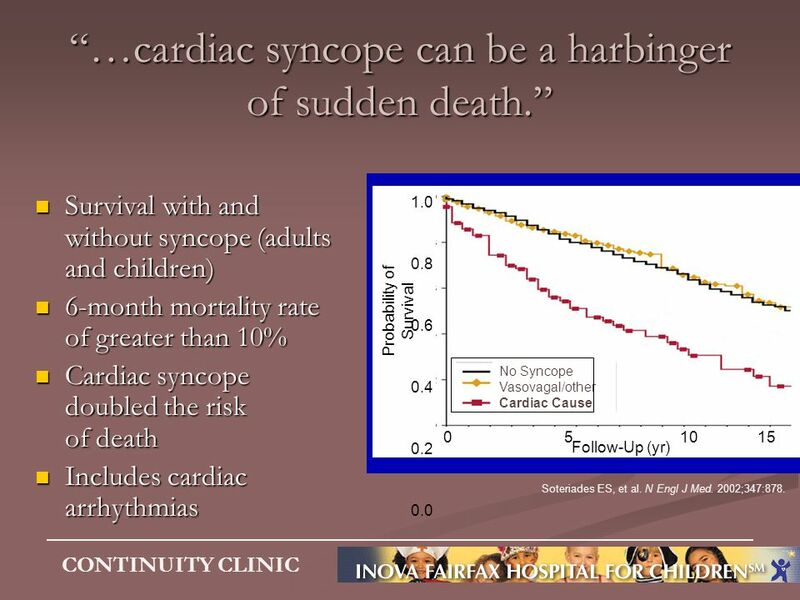 Survival with and without syncope (adults and children) 6-month mortality rate of greater than 10% Cardiac syncope doubled the risk of death Includes cardiac arrhythmias No Syncope Vasovagal/other Cardiac Cause Follow-Up (yr) Probability of Survival 1.0 0.8 0.6 0.4 0.2 0.0 Soteriades ES, et al. N Engl J Med. 2002;347:878. History is key!!!! 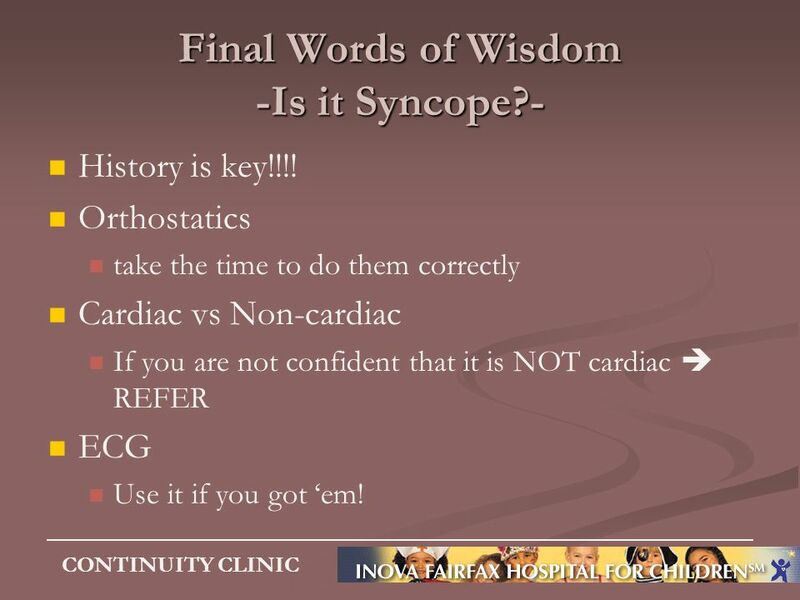 Orthostatics take the time to do them correctly Cardiac vs Non-cardiac If you are not confident that it is NOT cardiac  REFER ECG Use it if you got ‘em! 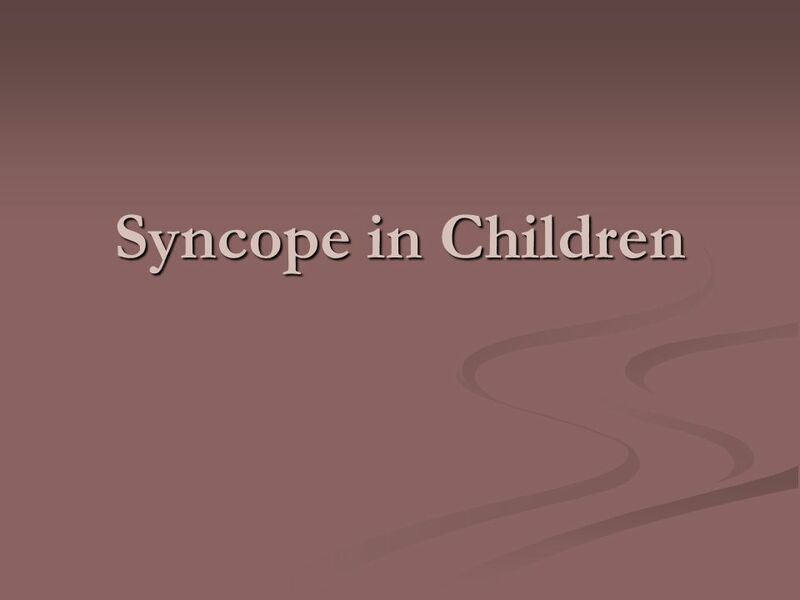 Download ppt "Syncope in Children." 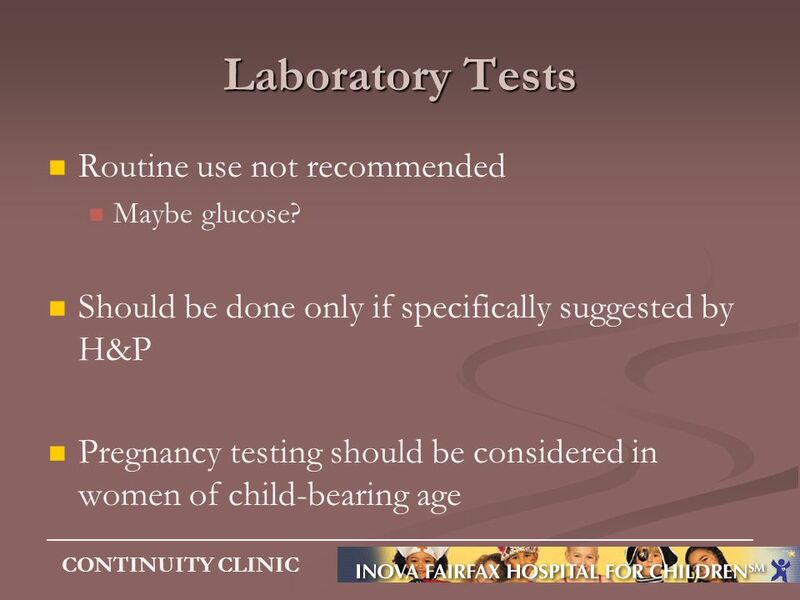 Geriatric Emergencies Dr Jack Bond Teaching Fellow June 2012. 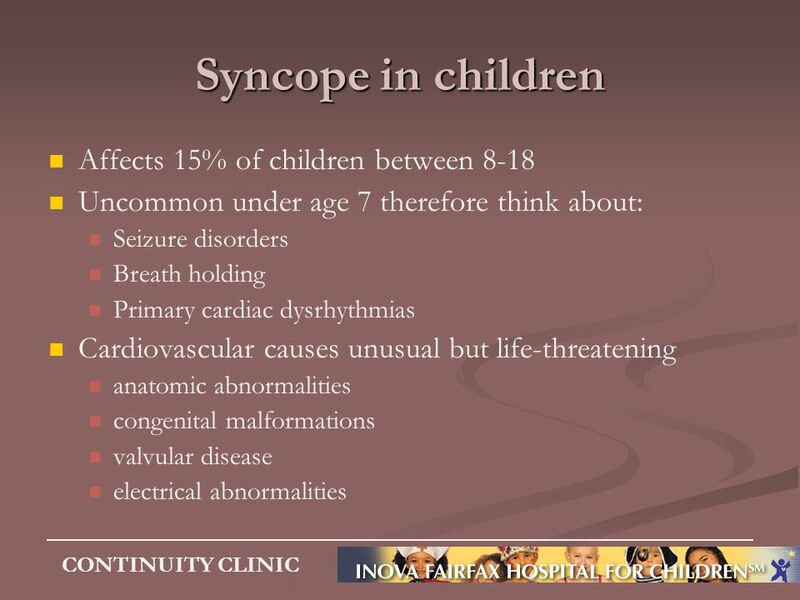 Emergency/Urgent Referral* (3) -Pt acutely unwell with palpitations -Pt with haemodyanically unstable acute onset AF -2 nd /3 rd heart block -Exercise. 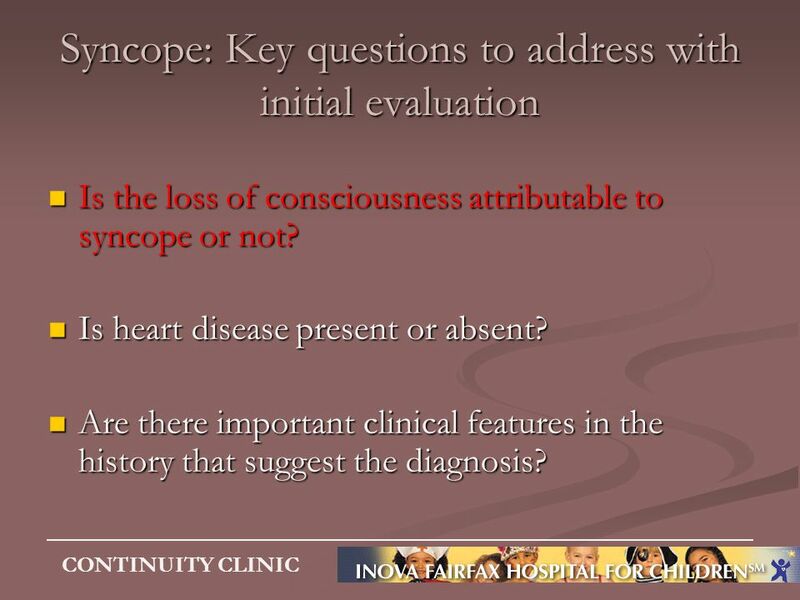 Assessing Syncope and Loss of Consciousness. 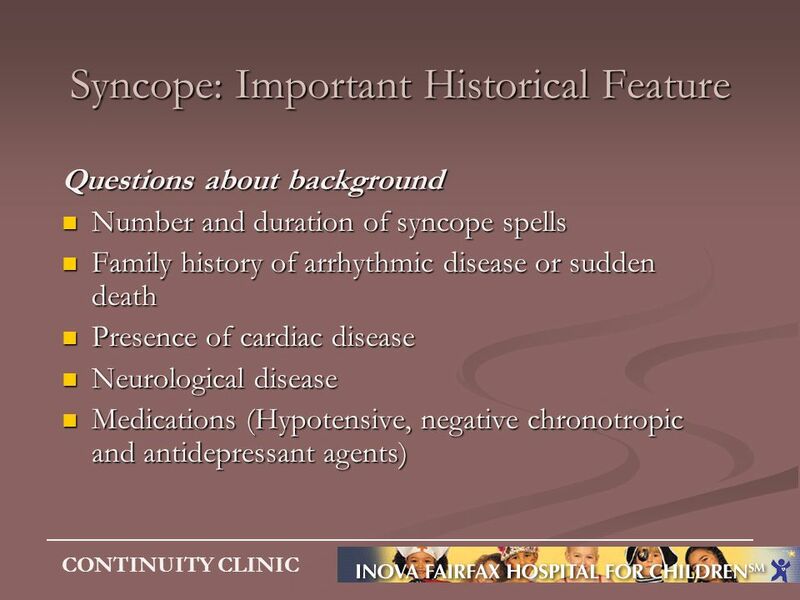 SYNCOPE 70 yr old male presents following syncopal episode while shopping. 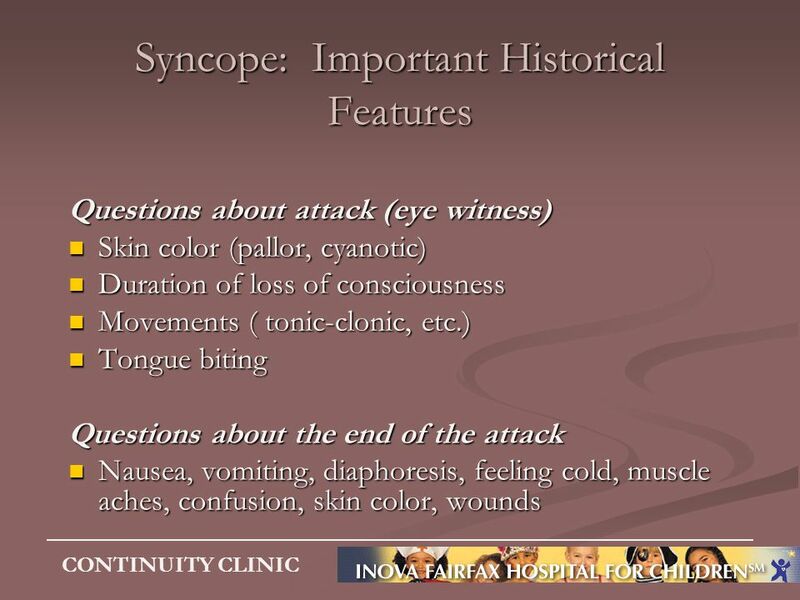 He has had 2 previous syncopal. 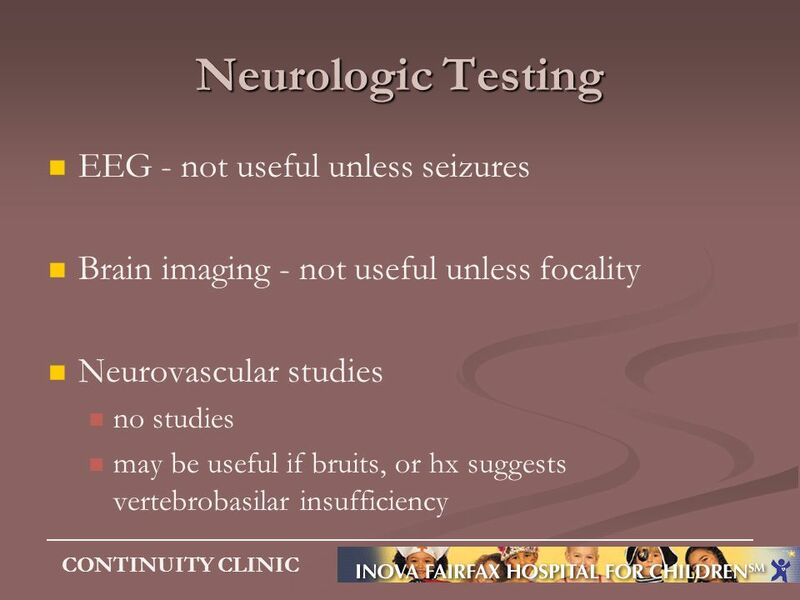 Neurologic Origins of Dizziness & Vertigo Clinical presentations of Dizziness or Vertigo that is of Neurologic Origin  Neurologically mediated dizziness. 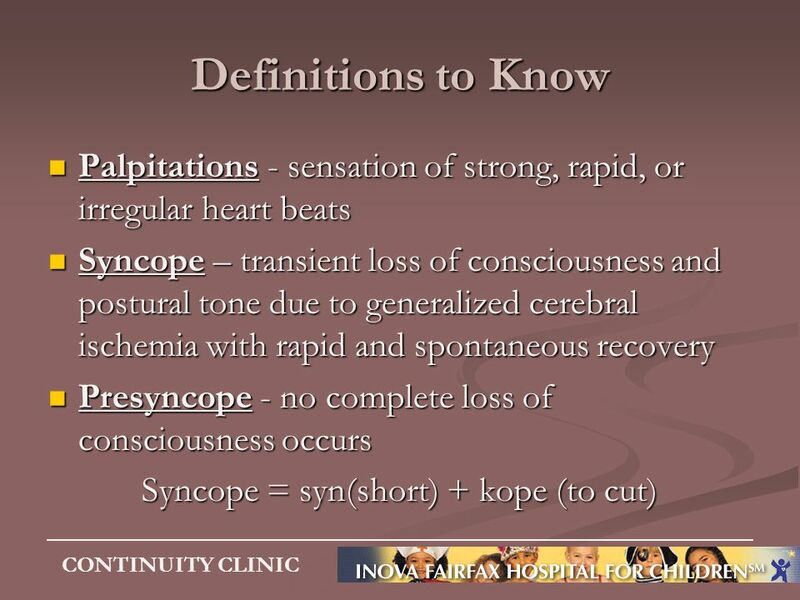 Falls in the Elderly & # Neck of Femur James Fox Rebecca Fairfield. Emergency Medical Response Circulation and Cardiac Emergencies. 1. 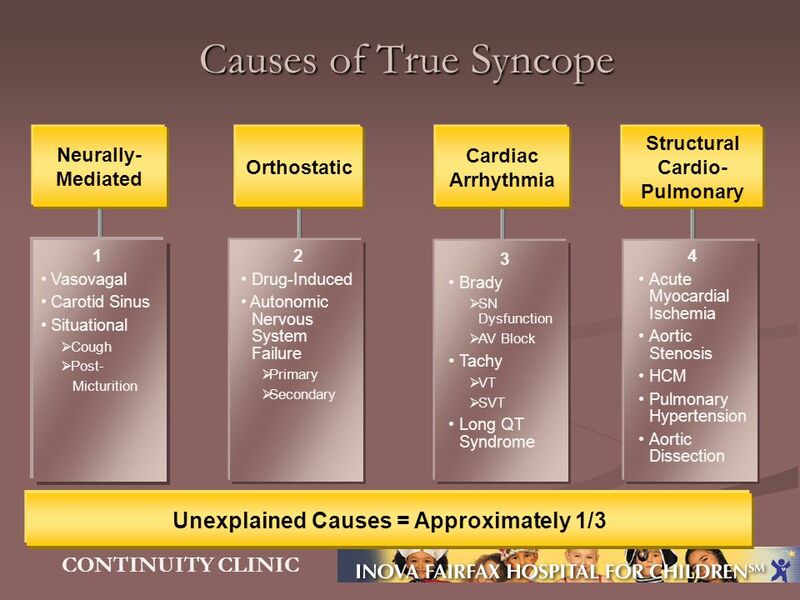 Etiology of Hypertrophic Cardiomyopathy is mostly due to: A. 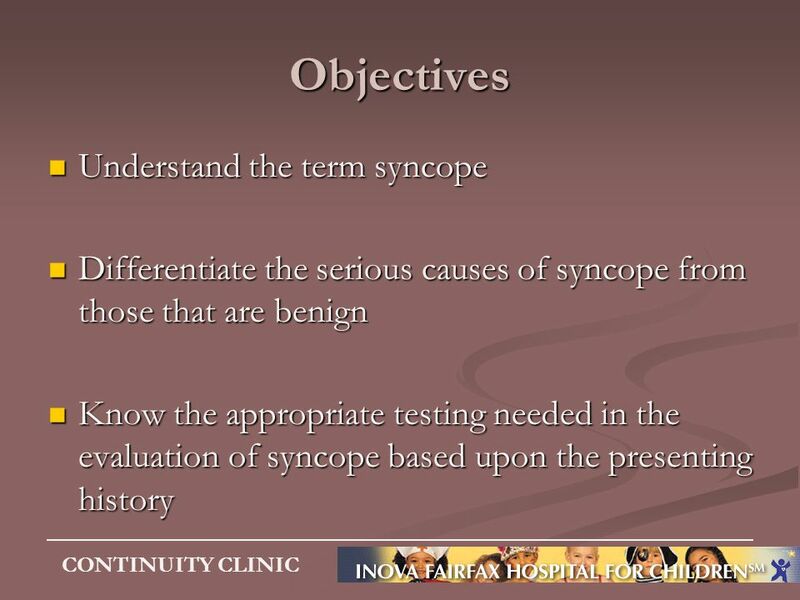 Long-term Hypertension B. Aortic Stenosis C. Myocardial Ischemia D. Familial and Genetic. 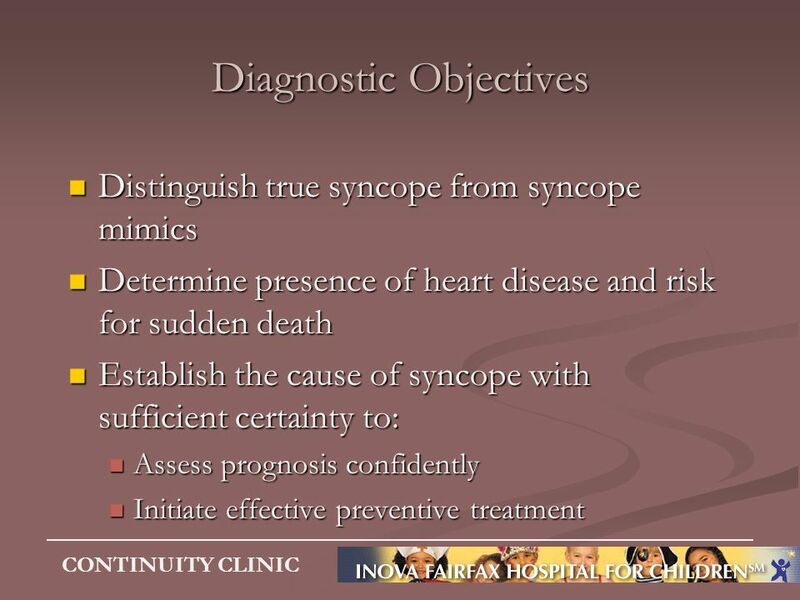 Syncope Priya Victor M.D. Introduction ► Syncope is defined as transient loss of consciousness and postural tone ► Accounts for 3% of all ER visits and. 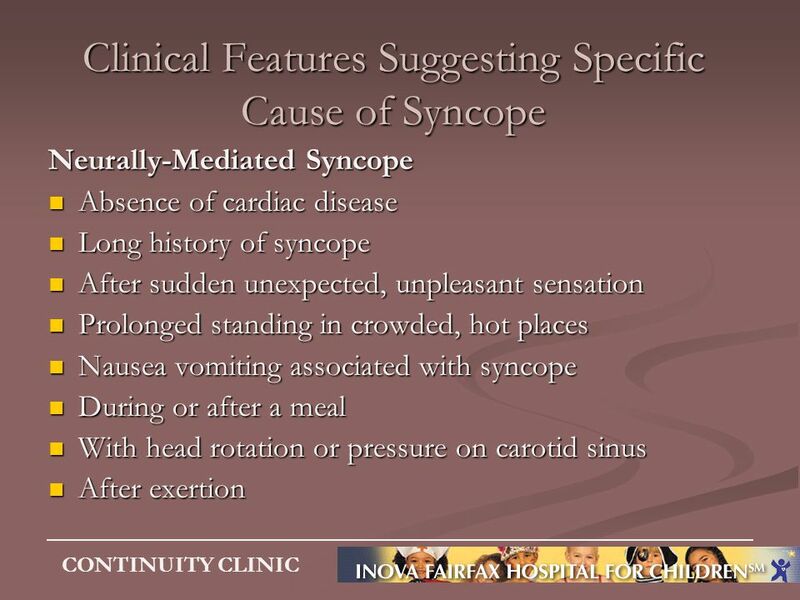 Syncope AM Report 6/25/10 Nicole Wilde. 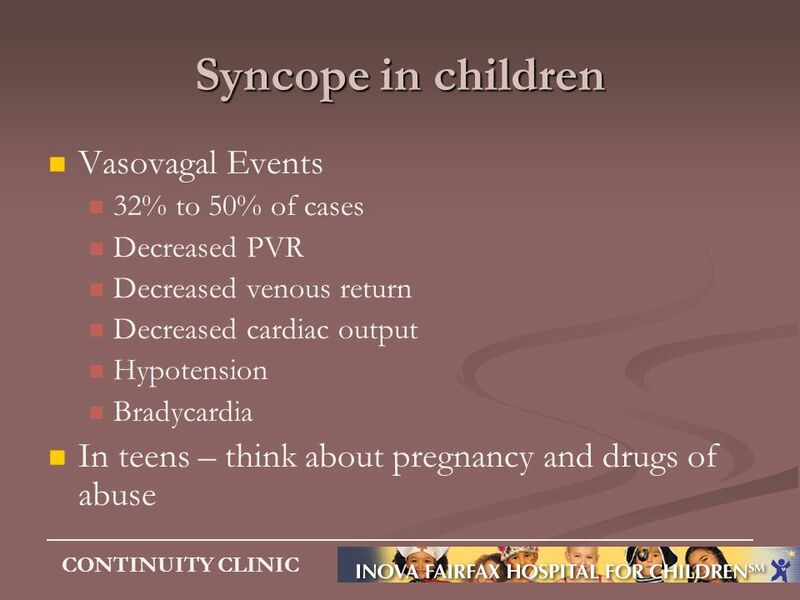 Syncope  Cause Not Obvious Neurally Mediated (vasovagal) 58% Cardiac Disease (arrhythmias) 23% Neurologic or. 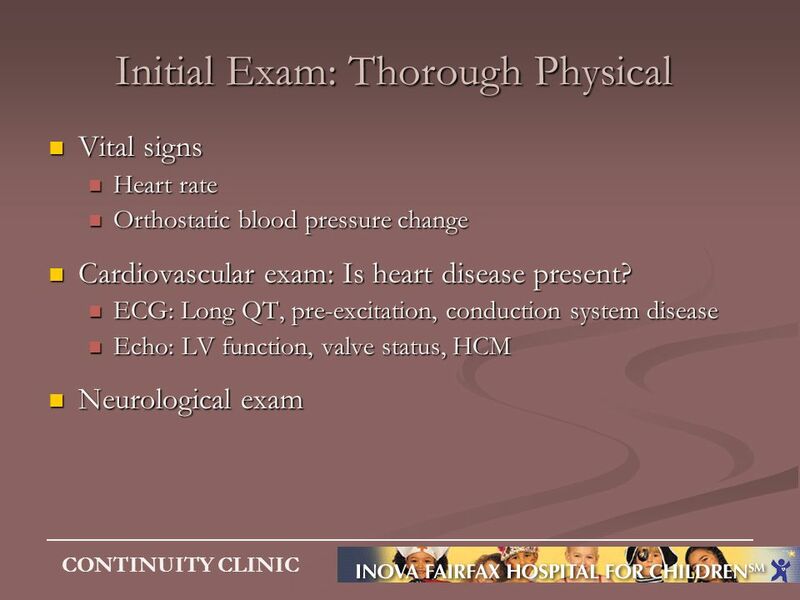 Management & Nursing Care of Patient with Coronary Artery Diseases Myocardial Infarction)) Dr. Walaa Nasr Lecturer of Adult Nursing Second year Second. 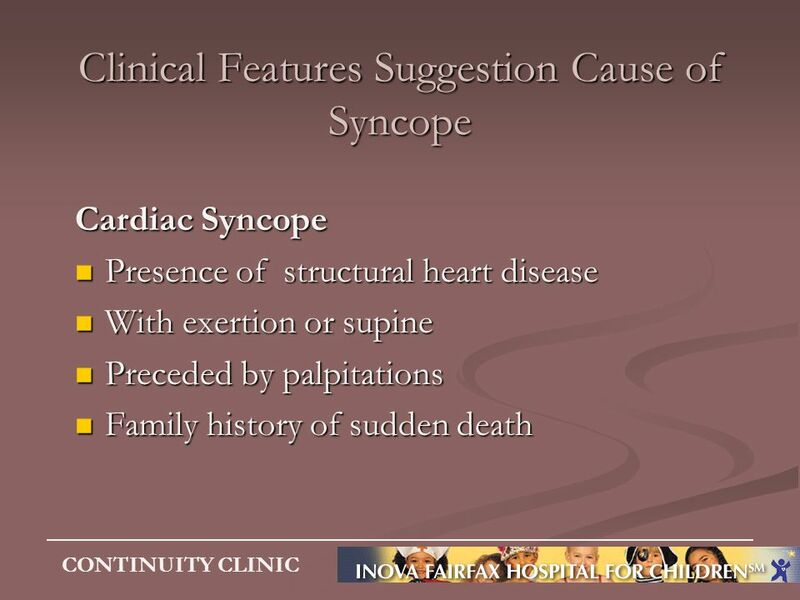 SYNCOPE. 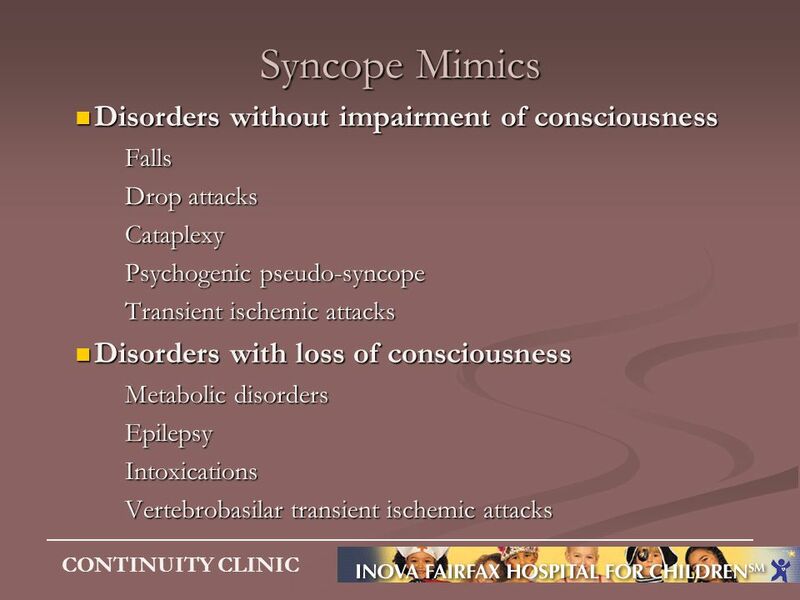 42 yo man comes to the ER with syncope He was standing in line waiting to renew his driver’s license Felt tired, nauseated, few seconds later. 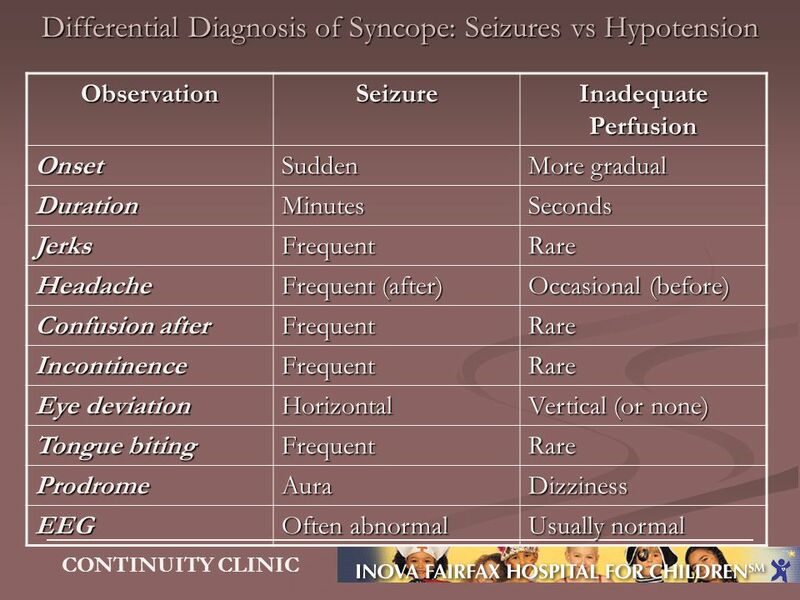 Syncope Diagnosis and Management Prabhat Hebbar, MD. 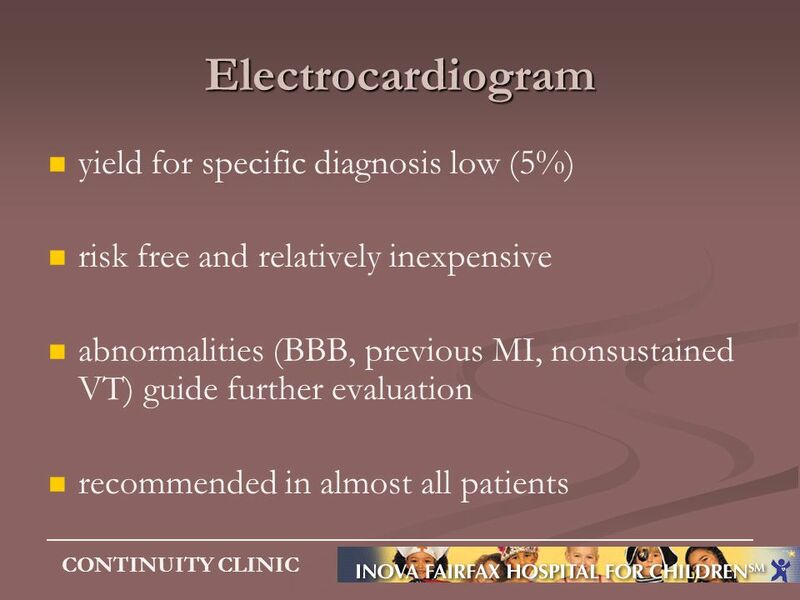 Electrophysiologist CHI St. Vincent Heart Clinic Arkansas April 25, 2015.